The UNESCO World Heritage and Sustainable Tourism Programme represents a new approach based on dialogue and stakeholder cooperation where planning for tourism and heritage management is integrated at a destination level, the natural and cultural assets are valued and protected, and appropriate tourism developed. World Heritage and tourism stakeholders share responsibility for conservation of our common cultural and natural heritage of Outstanding Universal Value and for sustainable development through appropriate tourism management. Facilitate the management and development of sustainable tourism at World Heritage properties through fostering increased awareness, capacity and balanced participation of all stakeholders in order to protect the properties and their Outstanding Universal Value. A key goal of the UNESCO WH+ST Programme is to strengthen the enabling environment by advocating policies and frameworks that support sustainable tourism as an important vehicle for managing cultural and natural heritage. 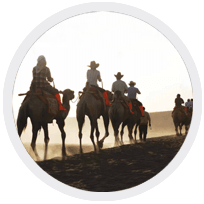 Developing strategies through broad stakeholder engagement for the planning, development and management of sustainable tourism that follows a destination approach and focuses on empowering local communities is central to UNESCO’s approach. With a focus on early intervention and upstream processes, UNESCO and UNWTO, supported by the UNESCO/Netherlands Funds-in-Trust, is launching a major project in 2013 that will provide policy guidance to the destinations and will develop a common sustainable tourism strategy for visitor management, site presentation and promotion along these heritage Corridors. Based on the report of the international workshop on Advancing Sustainable Tourism at Natural and Cultural Heritage Sites (Mogao, China, September 2009), the World Heritage Committee at its 34th session adopted the policy orientations which define the relationship between World Heritage and sustainable tourism (Decision 34 COM 5F.2). Providing an overview of the increasing vulnerability of World Heritage sites to climate change impacts and the potential implications for and of global tourism. The 'How-To' guides offer direction and guidance to managers of World Heritage tourism destinations and other stakeholders to help identify the most suitable solutions for circumstances in their local environments and aid in developing general know-how. 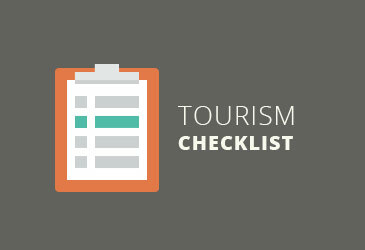 Sustainable World Heritage Tourism Checklist is developed in the framework of the project Towards a Nordic-Baltic pilot region for World Heritage and Sustainable Tourism, it covers issues such as organization and management, monitoring, local communities, environmental issues, and visitor management. A series of practical training and workshops are being organized in four priority natural World Heritage sites in Africa (Lesotho, Malawi, South Africa, Tanzania, Zambia and Zimbabwe) with the aim of providing capacity building tools and strategies for site managers to help them manage tourism at their sites more sustainably. 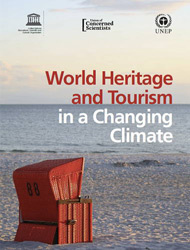 The project Towards a Nordic-Baltic pilot region for World Heritage and Sustainable Tourism (2012-2014) was initiated by the Nordic World Heritage Foundation (NWHF). 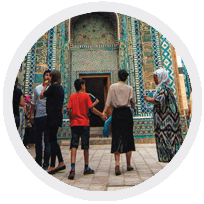 With a practical approach, the project has contributed to tools for assessing and developing sustainable World Heritage tourism strategies with stakeholder involvement and cooperation. Entitled “The Power of Culture: Supporting Community-Based Management and Sustainable Tourism at World Heritage sites in South-East Asia", the UNESCO Office in Jakarta with the technical assistance of the UNESCO World Heritage and Sustainable Tourism Programme and the support from the Government of Malaysia is spearheading the first regional effort in Southeast Asia to introduce a new approach to sustainable tourism management at World Heritage sites in Malaysia, the Philippines and Indonesia. Cultural tourism is one of the largest and fastest-growing global tourism markets. Culture and creative industries are increasingly being used to promote destinations and enhance their competitiveness and attractiveness. Many locations are now actively developing their cultural assets as a means of developing comparative advantages in an increasingly competitive tourism marketplace, and to create local distinctiveness in the face of globalization. UNESCO will endeavour to create networks of key stakeholders to coordinate the destination management and marketing associated with the different heritage routes to promote and coordinate high-quality, unique experiences based on UNESCO recognized heritage. The goal is to promote sustainable development based on heritage values and create added tourist value for the sites. 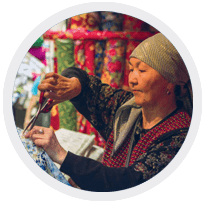 Creating heritage-based tourism that spurs investment in culture and the creative industries that are community-centered and offer sustainable and high-quality products that play on Europe's comparative advantages and diversity of its cultural assets. UNESCO is currently implementing a project to develop a unique Buddhist Heritage Route for Sustainable Tourism Development in South Asia with the support from the Korea International Cooperation Agency (KOICA). South Asia is host to rich Buddhist heritage that is exemplified in the World Heritage properties across the region. 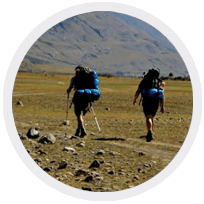 In 2011 UNESCO embarked on developing a new World Heritage and Sustainable Tourism Programme. The aim was to create an international framework for the cooperative and coordinated achievement of shared and sustainable outcomes related to tourism at World Heritage properties. “the World Heritage Centre to convene a new and inclusive programme on World Heritage and Sustainable Tourism, with a steering group comprising interested States Parties and other relevant stakeholders, and also requests the World Heritage Centre to outline the objectives and approach to the implementation of this programme". The Steering Group was comprised of States Parties representatives from the six UNESCO Electoral Groups (Germany (I), Slovenia (II), Argentina (III), China (IV), Tanzania (Va), and Lebanon (Vb)), the Director of the World Heritage Centre, the Advisory Bodies (IUCN, ICOMOS and ICCROM), the United Nations World Tourism Organization (UNWTO) and the Swiss Government as the donor agency. The Government of Switzerland has provided financial support for specific actions to be undertaken by the Steering Group. To coordinate and support the process, the World Heritage Centre has formed a small Working Group with the support of the Nordic World Heritage Foundation, the Government of Switzerland and the mandated external consulting firm MartinJenkins. Overarching and strategic processes that the new World Heritage and Sustainable Tourism Programme will be aligned with include the Strategic Objectives of the World Heritage Convention (the five C's) (Budapest Declaration 2002), the ongoing Reflections on the Future of the World Heritage Convention (WHC-11/35.COM/12A) and the Strategic Action Plan for the Implementation of the World Heritage Convention 2012-2022 (WHC-11/18.GA/11), the Relationship between the World Heritage Convention and Sustainable Development (WHC-10/34.COM/5D), the World Heritage Capacity Building Strategy (WHC-10/34.COM/5D), the Global Strategy for a Representative, Balanced and Credible World Heritage List (1994), and the Evaluation of the Global Strategy and PACT initiative (WHC-11/18.GA/8 - 2011). In addition, the programme development process has been enriched by an outreach to representatives from the main stakeholder groups including the tourism sector, national and local governments, site practitioners and local communities. The programme design was further developed at an Expert Meeting in Sils/Engadine, Switzerland October 2011. In this meeting over 40 experts from 23 countries, representing the relevant stakeholder groups, worked together to identify the overall strategic approach and a prioritised set of key objectives and activities. The proposed Programme was adopted by the World Heritage Committee in 2012 at its 36th session in St Petersburg, Russian Federation. International Instruments Relating to Sustainable Development and Tourism. Resolutions adopted by the United Nations, charters adopted by ICOMOS, decisions adopted by the World Heritage Committee, legal instruments adopted by UNESCO on heritage preservation. 8. Based upon the experience gained under the World Heritage Convention of issues related to tourism, invites the Director General of UNESCO to consider the feasibility of a Recommendation on the relationship between heritage conservation and sustainable tourism. The global tourism sector is large and rapidly growing, is diverse and dynamic in its business models and structures. Tourists/visitors are diverse in terms of cultural background, interests, behaviour, economy, impact, awareness and expectations of World Heritage. There is no one single way for the World Heritage Convention, or World Heritage properties, to engage with the tourism sector or with tourists/visitors. b. Tourism offers World Heritage the ability to meet the requirement in the Convention to 'present' World Heritage properties, and also a means to realise community and economic benefits through sustainable use. iii. realistic aspirations that World Heritage can attract tourism. i. the World Heritage brand has more impact upon tourism to lesser known properties than to iconic properties. b. to realise economic benefits. Tourism, if not managed well, poses threats to World Heritage properties. The impact of tourism, and the management response, is different for each World Heritage property: World Heritage properties have many options to manage the impacts of tourism. c. include local communities in the planning and management of all aspects of properties, including tourism. d. their presentation of Outstanding Universal Value and focus upon the experience of tourists/visitors. d. to include local communities in the planning and management of all aspects of properties, including tourism. 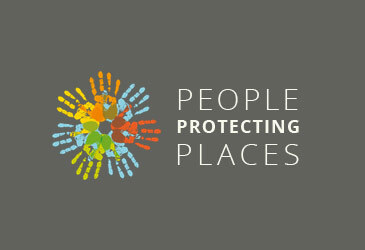 g. develop guidance on the use of the World Heritage emblem as part of site branding. d. ensure that individual World Heritage properties within their territory do not have their OUV negatively affected by tourism. d. engage with communities and business on conservation and development. c. work on authentic presentation and quality experiences. Individual tourists/visitors with the assistance of World Heritage property managers and the tourism sector, can be helped to appreciate and protect the OUV of World Heritage properties. 8. Provision of advice on UNESCO World Heritage branding. Earthen structures - since some 30 of the cultural sites on the List are included in this category, and due to the particularity of conservation of earthen heritage, and threats. XVII.10 The Committee expressed its appreciation for the clarity of the presentation and the justifications provided. Indicating strong support for the overall programming approach, the Committee however indicated the need for the programme to respond to the priorities established by the Committee and to create strong links with the results of the Global Strategy actions and Periodic Reporting. The Committee approved the four proposed themes of the programmes in this first series of initiatives and authorized the Centre to proceed in their development.